Industrial Communications, a leader in wireless communications experiencing rapid growth, has immediate openings for both experienced Tower Technicians and entry-level Tower Technician Trainees in Massachusetts and New Hampshire. These positions involve working in construction services for the wireless industry including 4G/LTE technologies. 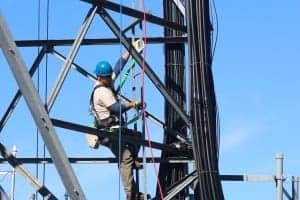 Climbing towers or other elevated structures to perform inspections, installations, and maintenance services for the wireless industry including cellular, broadcast, and public safety.